Have you registered for summer? Please take a minute and register for any courses you will be taking this summer (and fall, too!). Decisions to close course sections are made, in part, by considering enrollments to date. At this time, it appears many students have not yet enrolled for summer. Thanks for acting promptly so we can avoid closing sections of courses students need. 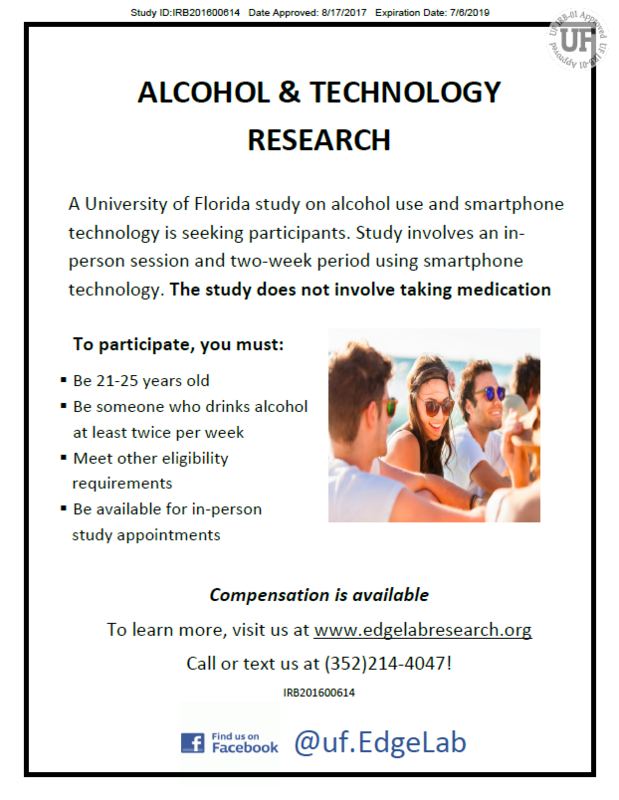 A University of Florida study on alcohol use and smartphone technology is seeking participants. Study involves an in-person session and two-week period using smartphone technology. The study does not involve taking medication. Compensation is available. See attachment for more details. Join the Heinz Fellows Program! The Heinz Fellows Program offers an extraordinary, year-long opportunity for forward-thinking, social justice-oriented individuals who are interested in advancing equity in education. Fellows will work in urban schools in collaboration with teachers, staff and school leaders to support students in academic, social, and emotional growth while building knowledge and skills necessary to work in urban contexts. Looking for an internship that makes an impact on under-resourced girls and women locally and around the world? Interested in learning new skills and having a variety of responsibilities? Are you willing to commit to at least 100 hours per semester? If you answered yes to all three questions, consider interning with Days for Girls International! Please click here for complete details. CDS Family and Behavioral Health Services Inc. runs the Interface Youth Shelters and offers counseling for at-risk youth, as well as prevention programs, www.cdsfl.org. Job description and other details located here. 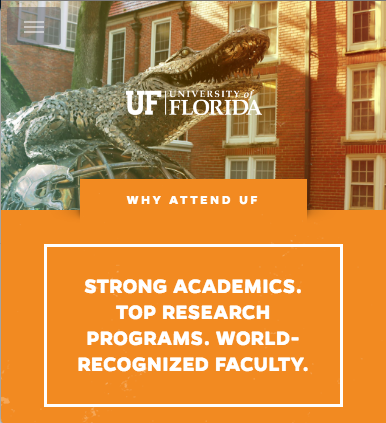 This OPS (hourly) research staff position will be part of the Anita Zucker Center for Excellence in Early Childhood Studies at the University of Florida. This position is supported by the BEST in CLASS-Web research grant, which is funded by the Institute of Education Sciences, US Department of Education. This position is designed to assist in the implementation of research activities related to the grant, including data collection and professional development activities in early care and education settings. Complete details here. Summer for Success High School Program is actively recruiting teacher candidates or graduate students to teach the Learning Essentials course, Technology Skills and Application course, and the Fundamentals of Drawing course. This is a 3-week college immersion program for rising high school junior and seniors who have a learning disability. Our summer program aims to give college-bound high school students who learn differently the skills, confidence and preparation to successfully transition from high school to college. A job description and additional details can be found here. This is a paid opportunity and housing may be available to those who need it. All individuals will receive additional training on working with students with a learning disability, instruction, and program policies. A preference will be given to candidates who have experience or a desire to work with high school students with a learning disability as well as those who are nearing the completion of their program of study. Any interested individual should contact the Academic Director, Brian Ogle at 352-638-9716 or bogle@beaconcollege.edu. PACE Center for Girls, Alachua, is currently looking for Teacher’s Assistant interns for Summer 2018 and Fall 2018 and would love to reach out to students in your department looking for an internship. Teacher’s Assistant interns are required to provide tutoring to students, assist with developing study strategies, lead review sessions for courses as needed, and prepare and grade assignments. Our internship program offers outstanding students the opportunity to impact young women and acquire direct exposure to a gender-responsive program. We accept students currently enrolled in a bachelor’s or master’s degree program. The internships are unpaid and require a minimum of 12 hours/week. Please contact Stephanie Darilus (stephanie.darilus@pacecenter.org) for additional information. Teacher/Instructional candidate position announcements are located on the School Board of Walton County, Florida website, www.walton.k12.fl.us under the Employment link. Any questions related to the employment opportunities can be emailed to Sonya Alford, Human Resources Director, alfsonya@walton.k12.fl.us. Florida School for the Deaf & the Blind (FSDB) Parent Infant Program (PIP) provides home based early intervention in the natural environments of infants and toddlers and supports children and their teachers in Pre-K classrooms. Together with the family, certified professionals address the family’s concerns and help to determine priorities for their child. Flexible Schedule. Resources Provided. Paid Travel & Training. For more information, click here. Boulware Springs Charter is looking for teachers for our upcoming school year which starts July 9, 2018. We are a year-round school with an extended school day. Last year, our school was 5th out of over 3,000 schools in Florida for learning gains in reading. Applicants must be driven individuals who are willing to go the extra mile to ensure student success. An ideal candidate is able to create and deliver engaging lessons to diverse groups of students at all levels. Strong classroom management is a must. The job requires an individual who is energetic, a creative thinker, self motivated, and dedicated to teaching children. Prior teaching experience is preferable. 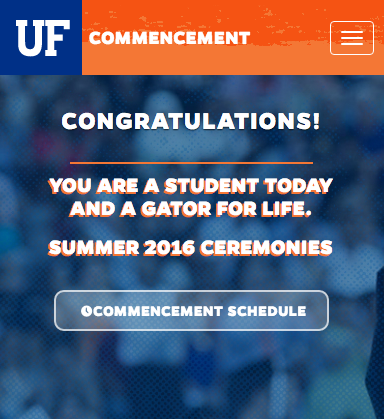 Please do not apply if you do not have a valid Florida teaching certificate. If interested, please contact the Director Kay Abbitt at kayabbitt@boulwarecharter.com or 352-244-9732. This sub position is for a 1st grade classroom from May 1 – May 25. The hours are from 7:45 – 4:15 Monday – Friday. Responsibilities include implementation of lesson plans, grading as needed, and classroom management. Applicants must have a minimum of 2 years college credit. If interested, please contact the Director Kay Abbitt at kayabbitt@boulwarecharter.com or 352-244-9732. 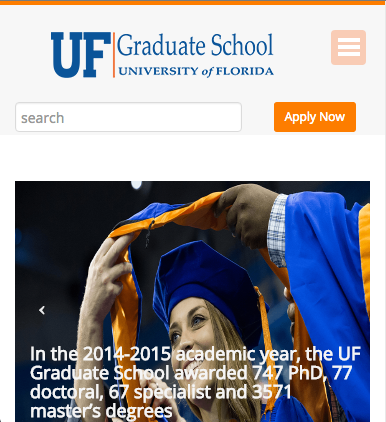 The Bob Graham Center’s Virtual Internship Program (VIP) was designed to accommodate the demanding schedules of UF’s most motivated students while providing valuable work experience. Students will sharpen their communication skills and learn web-based proficiencies that any employer will find valuable. Internships bridge the gap between the educational and professional worlds and a virtual internship provides the added benefit of offering an experience that will prepare students for a 21st Century professional setting. Placement offices include iCivics, a national non-profit focusing on civics-based learning games in a digital environment, and the Levy County School District. Deadline to apply is May 5. 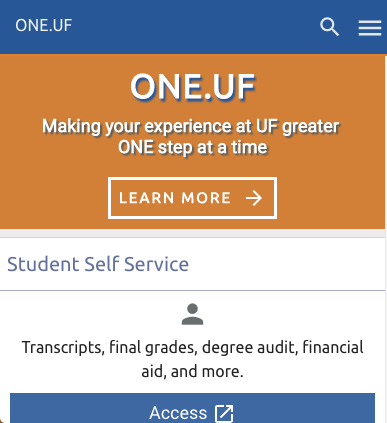 For more information contact faculty advisor Dr. Kevin Baron at kbaron76@ufl.edu. NANNY FOR HOMESCHOOL BOYS: Hi! We are searching for an experienced and unflappable nanny for our two homeschooled boys, ages 9 and 7. If you love kids, are silly and fun, patient and kind, and can problem solve on your feet, then this is the job for you! We live in High Springs, a 20 minute drive north of Oaks Mall, 5 miles west of I-75. The outcome for this position is to relieve some of the homeschool and household duties in care of our two boys so mom & dad can work. Hours required are two, four-hour shifts per week. Preferably M-W afternoons, however we can be flexible. Creating a stimulating and creative environment. This is not a babysitting job. It requires your leadership in planning for activities, games, and projects that will be interactive and immersive for the boys. We have a fantastic wooded backyard, cupboards overflowing with project materials, and a huge park and awesome library nearby. The boys are sweet-natured and super-creative and will love your attention. Outdoor play is encouraged as well as imaginative play or project-based learning (no electronics!). They also love to read and narrate stories while you type them on their computer. We are a laid-back family used to having nannies, so please feel free to speak up and ask any question! Note, one or both parents will be home during the day, however we are well-versed in staying out of your way. The kids will be 100% yours unless you ask us to step in to help. Please be comfortable with pets and have experience as a nanny as well as experience providing transportation for children. PK Yonge teacher is searching for light cleaning help at home, with a possible opportunity to also babysit in the future. The position would start as 5 hours a week at $20 an hour and would include household chores such as dishes, laundry, and picking up around the house. The hours can be scheduled around your class times, but we would like them to be consistent from week to week. We are looking for someone who is reliable and responsible. For more information, email rchastaingross@pky.ufl.edu. Monday to Friday 4.5 hours a day, for a happy 2.5 year old girl in our home. We live near the Millhopper library. Looking for someone to begin in March until at least August. The ideal candidate would be great with kids and dogs, reliable, trustworthy, creative and punctual. Please email me at lydiavbrady@yahoo.com. Thank you!